Book Update: I have updated my Goodreads profile. I would love to be friends with you and see what everyone else is reading! Here is the Goodreads link to my page. It’s free and fun to be able to keep track of everything I’ve read – and handy since it will link up to Amazon, too. Right now, I’m reading Dan Ariely’s newer book “The Upside of Irrationality” since I loved his first book so much – Predictably Irrational. For example, one study had him in a bar and he presented drinkers with two free samples of beer. One Budweiser (later changed to John Adams I think) and one MIT brew. Now, most people liked the MIT brew. HOWEVER (there’s always a however…) it was laced with balsamic vinegar. Yet people convinced themselves it was better after they found out. Another study had Hershey kisses for 1 cent and Lindt chocolate piece for 15 cents. Most people (about 72%) chose to purchase the Lindt chocolate piece. HOWEVER…. when the price was equally lowered by one penny – to FREE for the Hershey kiss and 14 cents for the Lindt chocolate … more people picked the Hershey Kiss like 75% more or some crazy high number. And why? The difference in price is the same. Only one is now FREE or aka 0 cents vs. 14 cents. 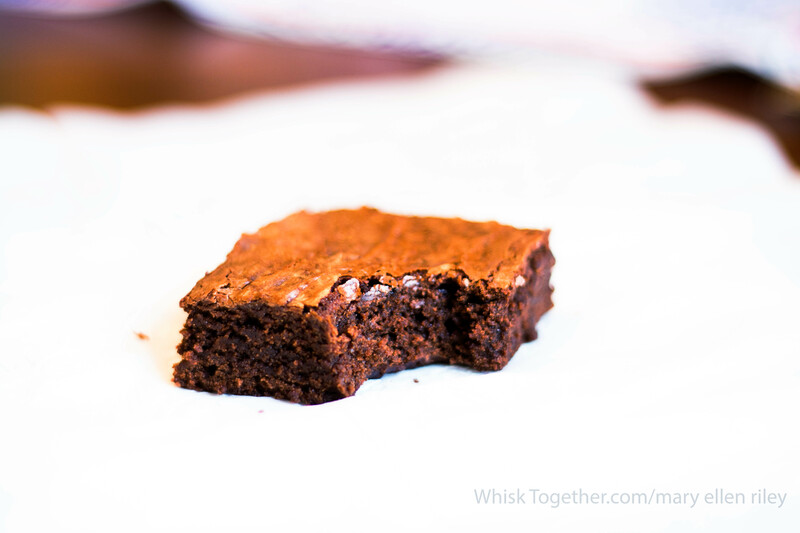 Recipe: We made these brownies for the weekend and boy were they yummy! 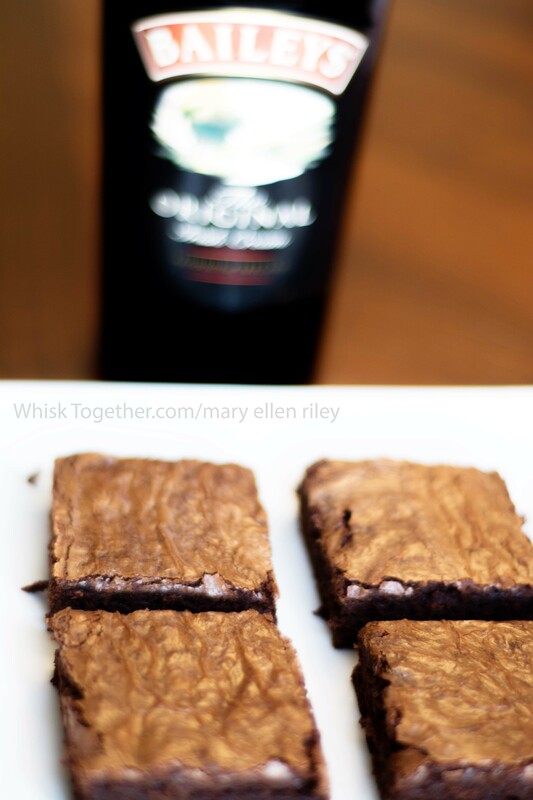 I was so excited to start working on my favorite brownie recipe EVER. I never liked the fact that the chocolate chips in the recipe melted into the batter. The batter is warm when you add the chocolate chips, but it isn’t warm enough. So, I discovered if you make these super duper best ever awesome brownies that you should put the batter mixture into the microwave for about 30-45 seconds. It should get hot enough to heat up the batter, but not so hot that the eggs start to cook. After nuking the batter, I added the 2 cups of chocolate chips, stirred it a little bit, and voila – no chocolate chips in the brownies. 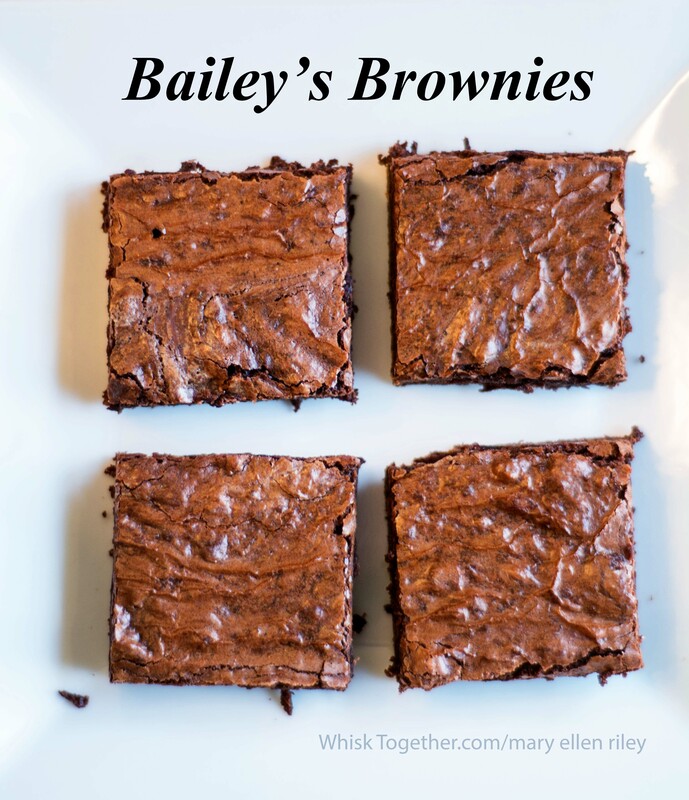 The brownies here were a variation on the same recipe. I replaced some of the liquid and fat inside the butter with Bailey’s Irish Cream. The kids loved them, too! Or serve them to adults. Or whoever. 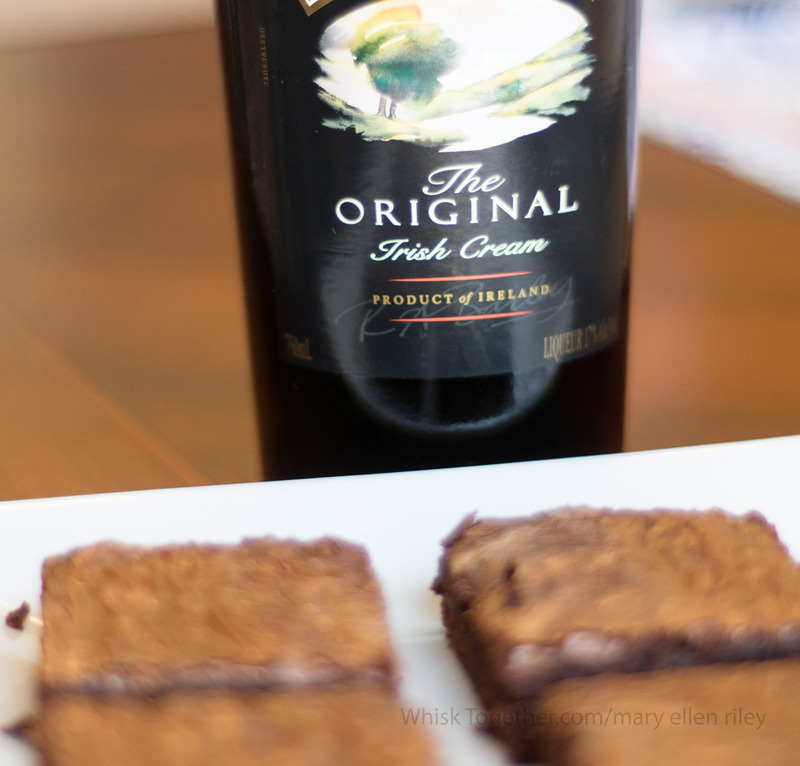 They taste great: moist, chocolatey, fudgey, gooey and laced with the Irish Cream flavor. 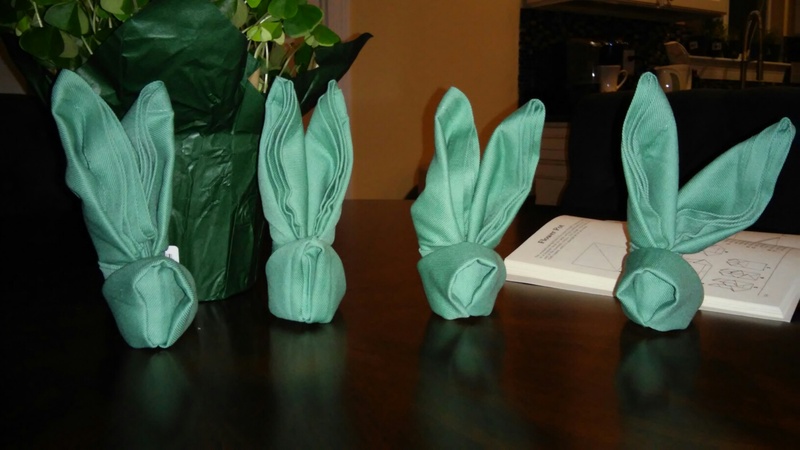 Layer a 8×8 or 9×9 or 7×11 pan with nonstick foil or foil sprayed with baking/cooking spray. In a great big microwave safe bowl, add butter and sugar. Microwave about 2 minutes – until very hot but NOT bubbling. In another separate bowl, beat the eggs. Add in the Bailey’s, cocoa powder, salt, baking powder, espresso powder and vanilla. Beat until thick and smooth. Add that hot butter/sugar mixture into the chocolate/egg mixture. Stir until smooth. Here is where I put the whole thing in the microwave again and make sure it is nice and hot. Or, alternatively add the chocolate chips and if they do not melt – then stick the whole thing into the microwave until the mixture is hot enough to melt them. Or, if you want chunks, just don’t melt the chocolate chips! Now, fold in the flour until just combined. Do not overmix. Bake pan for about 20-25 minutes. The toothpick should come out of the middle pretty clean with just a few chocolate crumbs attached. Cool completely. Remove the brownies from the pan with the foil sling and cut and serve.